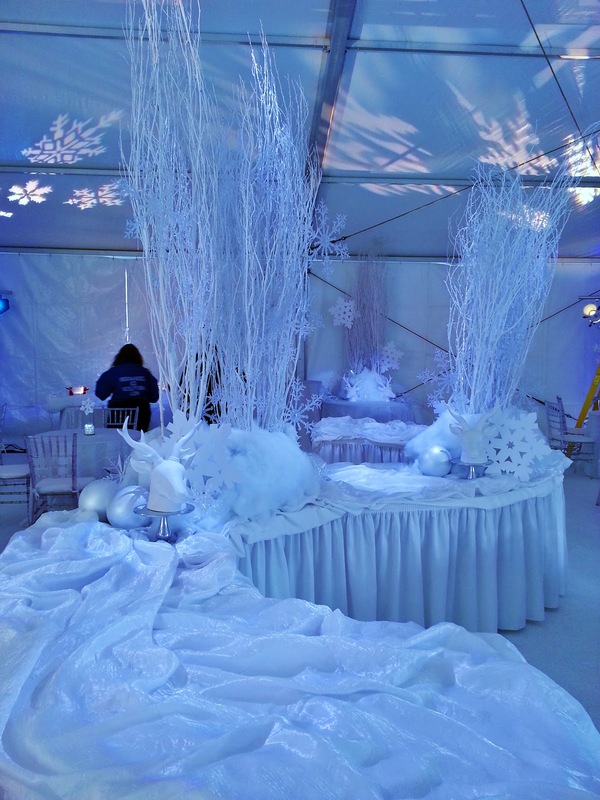 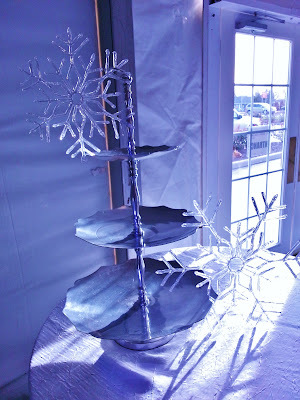 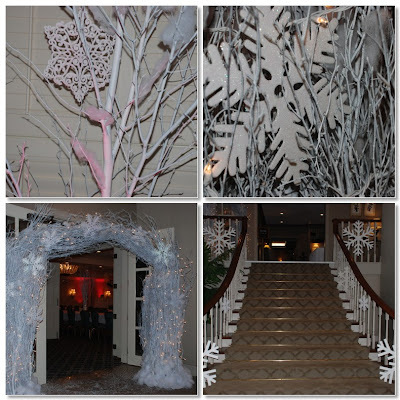 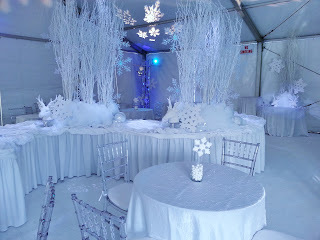 We created a winter white wonderland for a local jewelry store holiday open house. We went with an all white theme. 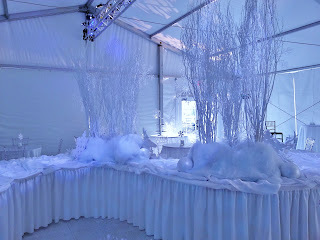 There is something so dramatic about white and when you add icy blue lighting it becomes magical. Evans Audio Visual projected these beautiful snowflakes all around the tent ceiling and a wash of icy blue lighting that transformed the entire room. When you use white, the lighting reacts to every single piece in the room and make it all come alive. 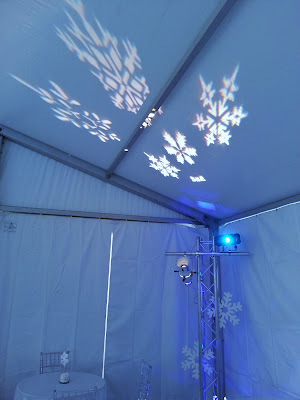 It’s hard to see but we put crystal clear snowflakes in the birch trees and when the lights projected on them they turned into blue glowing flakes. 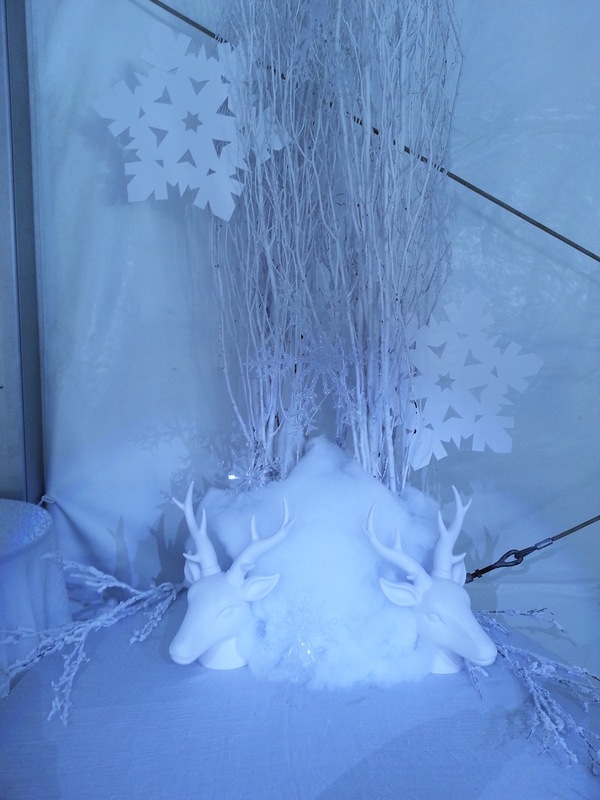 We decorated the buffet with white birch branches, buffalo snow, white and clear snowflakes, oversized snowballs and these amazing deer heads. 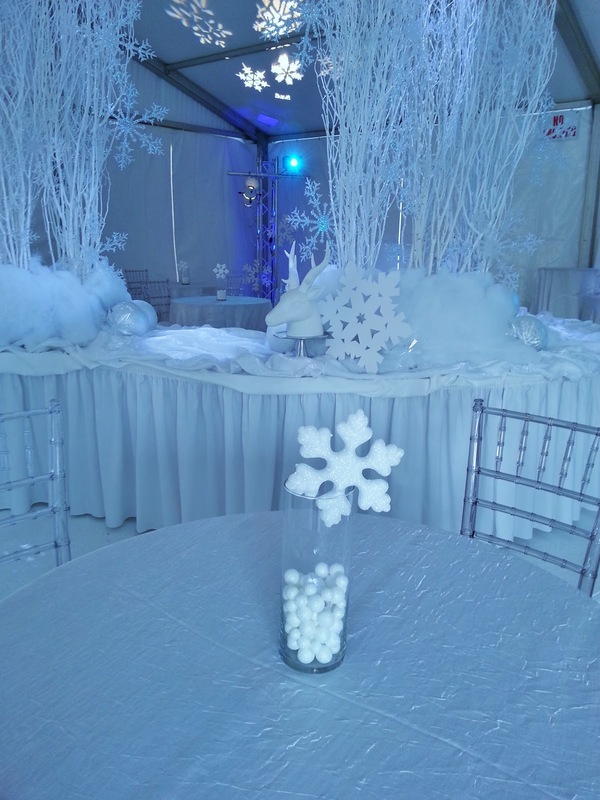 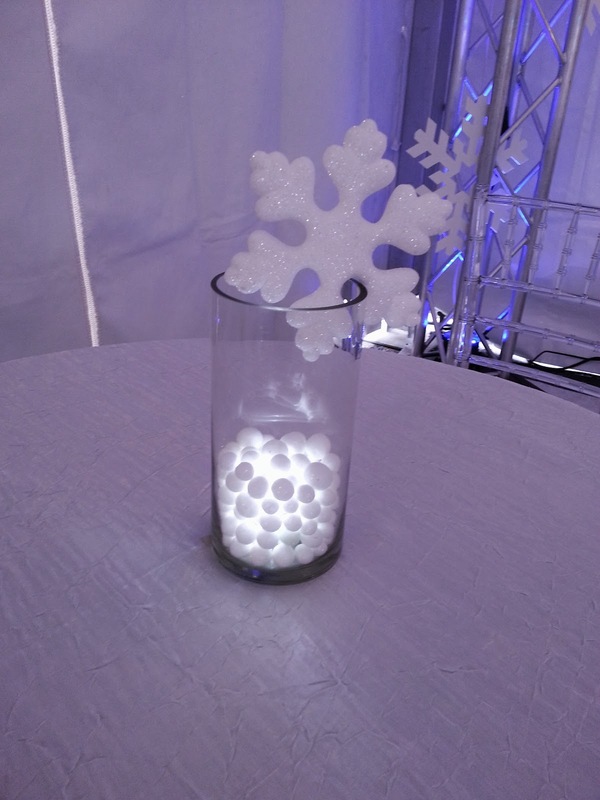 All of the tables were small cocktail tables, seated and standing so we created these small snowflake centerpieces with snowballs and a white led light to make the snowballs glow. 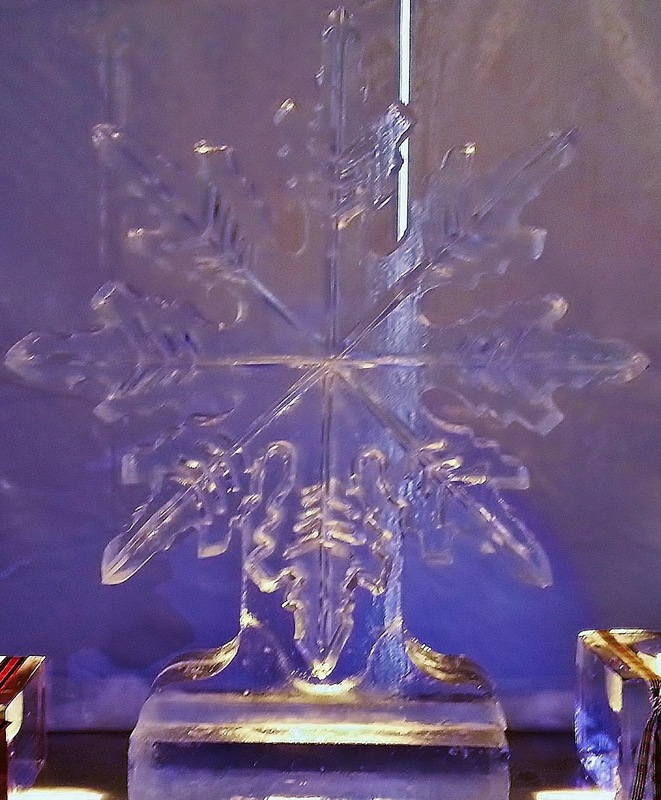 Jose & Sons Ice Sculpting carved this magical ice snowflake for the shrimp station. Last but not least the talented Annie-O pulled this team together to create this open house. 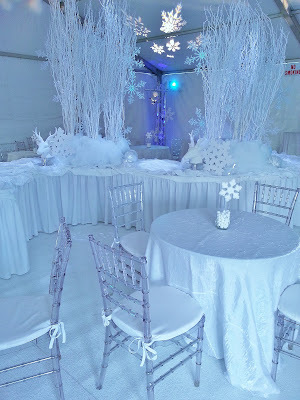 This entry was posted in ice party, Snow Party, snowflake soiree, white party, winter wonderland party on December 21, 2012 by Setting the Mood.